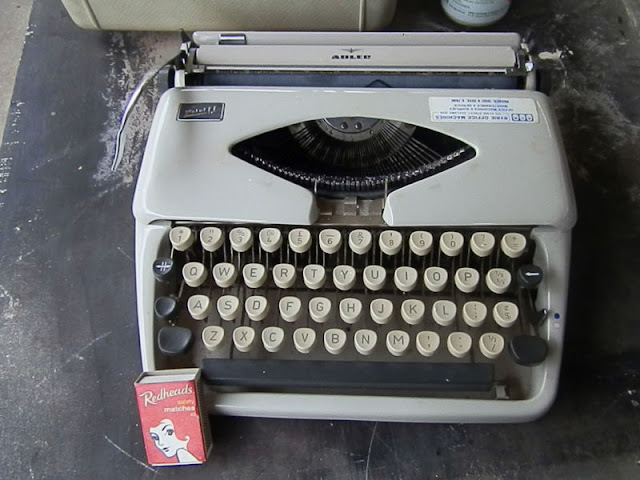 The listing says, simply, "Adler Typewriter in it's [sic] case working; only minor marks otherwise good". The seller is in Port Fairy, Victoria. The poor old Tippa is off with the pixies, trying to find a way through to its printing point. If only it had some kind of print or type on it, that would give a hint to its proper orientation! Plus, maybe I'm missing something obvious, but what's with the box of matches? I spotted this... And had a bit of a chuckle myself!